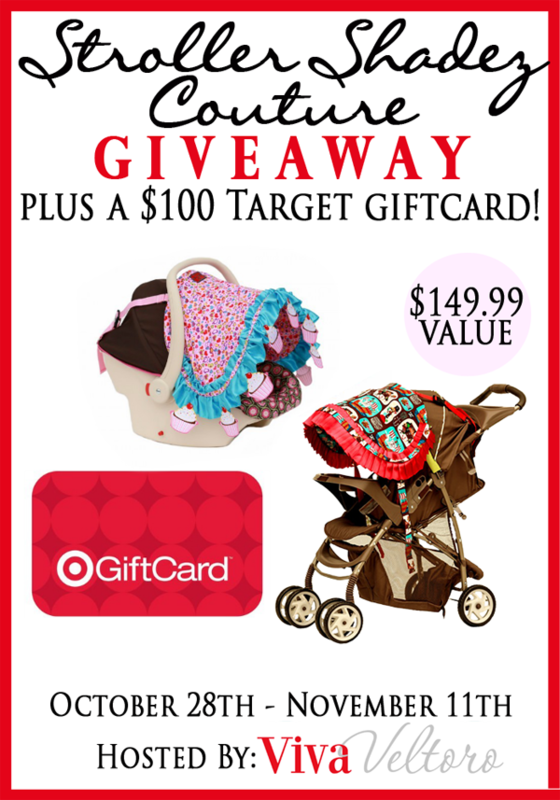 We have another great giveaway for moms to enjoy with a Stroller Shadez Couture and Target Gift Card giveaway! The prize value is worth $149.99! Learn more about Stroller Shadez Couture below and scroll down to enter to win! Good luck everyone! Open to the US only, ages 18 and up. Giveaway ends November 11, 2014 at 11:59 PM EST. My grandson like pirates so i would choose the Ahoy Pirate cover. I would choose the Royal Blue Damask shade – so fancy! I like the Royal Blue Damask! I would choose the Ahoy Pirate pattern. I’d pick the Royal Blue Damask pattern. I like the Ahoy pirate one. I would pick the leopard print one for my granddaughter because her mother dresses her that way.